1. Make skin cells move, reduce wrinkles, smooth skin, bright skin tone. 2. Introduce skin care products to increase the infiltration rate from about 10% to over 60%. 3. Make subcutaneous tissue movement, activate cells, inhibit the formation of dark marks, and remove marks. 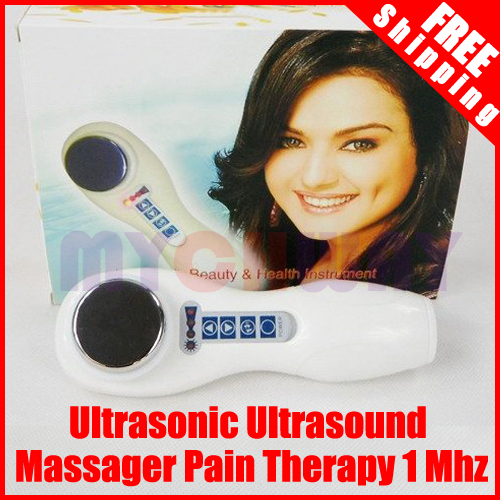 Ultrasonic wavelength is short and it is spread in nearly straight line, so the energy is centralized. When it acts on skin surface, it can infiltrate through to 3 to 6 CM, causing vibration of human cells, and a fine massage is generated. At the same time, the cell volume is changed, causing cytoplasm motion magma particles rotation and karyon vibration and rubbing, thus the translucent cell pellicle pervasion is stimulated, and the partial blood and lymphatic circulations are improved, with cell penetration intensified, metastasis and regeneration of skin tissue improved. Ultrasound permeates into the deep texture of the skin, even reaching muscle and fat layers, with warmth, micro vibration, and cavitation, your skin will appear more youthful, smooth and healthy with this intense form of care.